Recently i have installed windows 7 on my PC . the appearance of windows 7 is too good. the fast and navigation between windows is like listening music while driving your car. but every operating system has some issues to be fixed when ever they go wrong or corrupted. 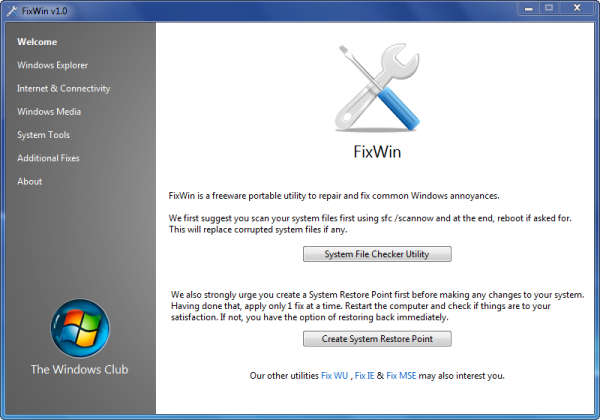 Windows club has posted a new software named fixwin(developed by ramesh) which is very easy to use to fix all comon widnows 7 and windows vista problems. 1)fix all your windows 7 problems including registry and task manager issues. 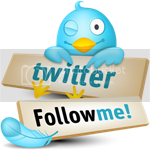 2)fix windows vista problems easily by using fixwin. 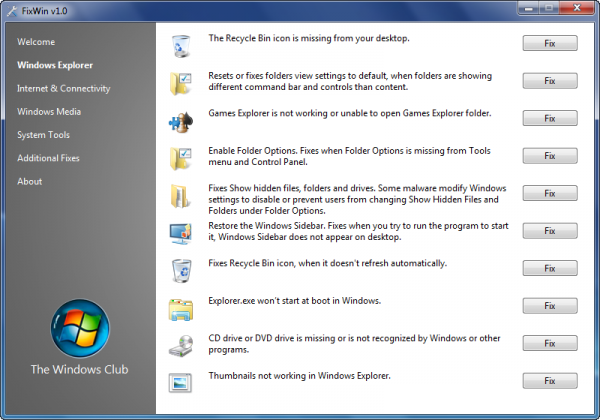 3)unable to open and taskbar problems in windows 7. 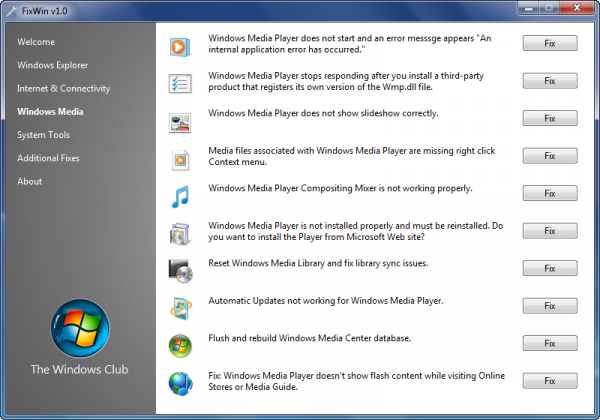 4)aero problems in windows vista and windows 7 .